I don't like to keep peanut butter around. Peanut butter is relentless. Ground buttery legumes whisper to me from wherever Larry has tried to hide them, behind the coriander and cumin, beneath a Peet's house blend, or under several semi-dark chocolate chip bags, or even in the closet next to his hats.That pesky PB jar knows that I am just an arm length and a big wooden spoon away. PB was my first vegetarian go to food. I bought fresh PB in tubs from my local health food store where the PB was still warm from the machine. I ate it from the container and spread it on graham crackers with a little bit of honey, (now of course it would be agave). 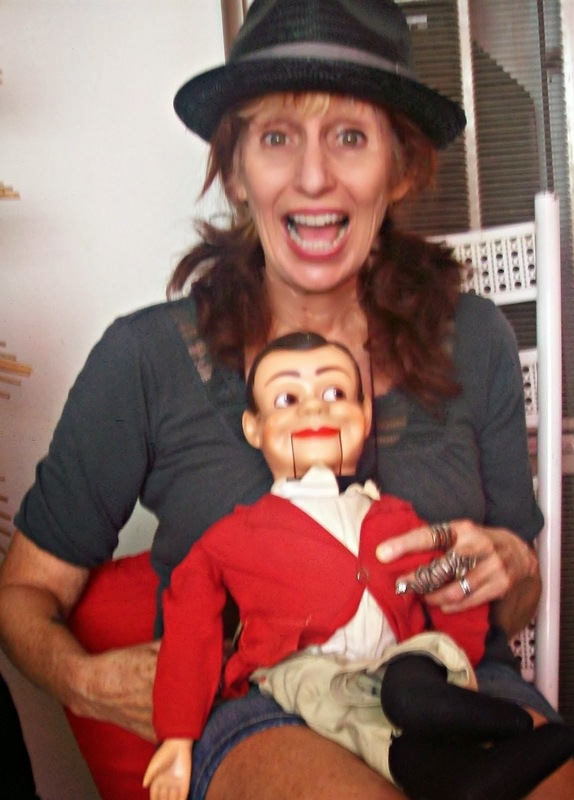 When I was 18 I lived in Louisiana and on a midnight jaunt found Mr. Peanut Butter Cookies in the town's Piggly Wiggly. Hello Beautiful! I think Peanut butter should have a skull and crossbones on it just like Scope. Wait. Scope doesn't have a warning label on it. Maybe Scope is just considered poison in our house, but enough about mouthwash that you can chug in a pinch. This blog is about PB, my friend. So I do not keep PB anywhere near me, on a regular basis, but when a craving hits me I justify peanut butter's presence. This week PB was part of the test kitchen. 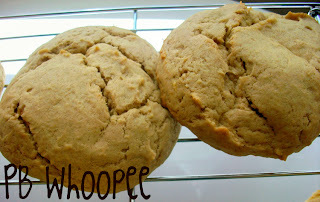 We made whoopees. Not just PB middles either. PB everything. OH boy oh boy oh boy! 2. In a medium bowl, whisk together the flour, baking soda, baking powder; set aside. In a large mixing bowl, cream together the the Earth Balance, brown sugar, and peanut butter and beat in the vanilla. 4. Add one third of the dry ingredients, and mix until moistened. Add half of the rice milk-vinegar mixture, and mix until combined. Scrape the sides and bottom of the mixing bowl, then add the remaining flour mixture and remaining faux butter milk. Scrape the bowl again during this process; the peanut butter tends to stick to the bottom. 5. When the batter is evenly mixed, stir in the chocolate chips, if using. Use a large ice cream scoop for large pies and scoop onto the prepared baking sheets, leaving 1 1/2 inches between each scoop. 6. Bake for 12 to 14 minutes, until the tops spring back when lightly touched, and a skewer inserted in the center comes out clean. Remove from the oven and cool completely on a rack before filling. I tried the whoopies with and without the chocolate chips and found them equally delicious. Cream Tofutti with Earth Balance. Add peanut butter, til well blended. Add confectioner's sugar and mix for about 3-5 minutes until smooth but pretty stiff. Add coconut milk a Tablespoon at a time until spreadable. At this point you might want to taste it because well, you just can't wait. Spread on one cookie and top with another. These are big whoopees! Nut butter of any kind is like a call to action. Do not go to work...do not sleep, stay here and consume me until I am gone. 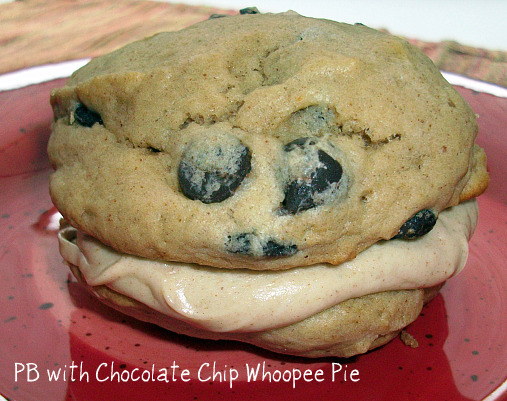 Just knowing that these Whoopee making Pies exist in the world makes me uneasy. Its like you have created a weapon of mass destruction. I cant wait to order some along with the carrot cake ones.Yum. So true. Almond and cashew butters are food whisperers too. Yay. Order soon. But first Veganville will be having a contest to win some. You gotta be in it to win it!